Great Bustard, Eastern Imperial Eagle, Saker Falcon, Pygmy, Tengmalm’s and Ural Owls, Three-toed Woodpecker, Barred Warbler, etc. This unique, easy accessible and low budget birding tour includes: Western Carpathians, the Beskydy Mountains, fantastic area for owls and woodpeckers; raptors paradise of Southern Moravia; Neusiedl See, the Ramsar site (also famous for its Great Bustards). 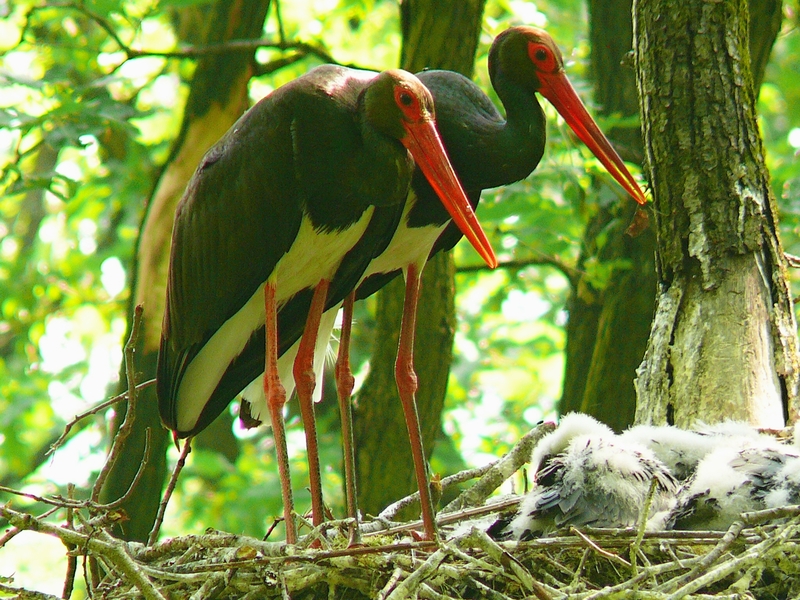 All together: this tour is an excellent birding adventure with easy access from Vienna (Austria), Brno (Czech Republic), or Bratislava (Slovakia) airport. Target Species: Eastern Imperial and White-tailed Eagles, Saker Falcon, Red and Black Kites, Great Bustard, Pygmy, Tengmalm´s and Ural Owls, Black, White-backed and Three-toed Woodpeckers, Spotted Nutcracker, Collared and Red-breasted Flycatchers, Common Firecrest, Barred Warbler. Arrival to the airport, transfer to the Beskydy Mountains. Owl observation in the evening (Pygmy, Tengmalm’s & Ural). Dinner and overnight spent at the hotel in the central part of the Beskydy Mts., located ideally for owls and early morning birding. Forming part of the Western Carpathians, the Beskydy Mountains lie in the far west of the Czech Republic on the border with Slovakia. Excellent for forest and upland birds, this important Bird Area possessing many nature reserves is a Protected Landscape Area too. In lower areas there are woodlands of beech and fir and the area is renowned amongst birders for its owl and woodpecker populations. Our targets: Hazel Grouse, Corncrake, Pygmy, Tengmalm’s and Ural Owls Red-breasted Flycatcher, Spotted Nutcracker, Three-toed, White-backed and Black Woodpeckers, Ring Ouzel, and Common Firecrest.. Transfer to southern part of Moravia, a fascinating habitat with old oaks, ashes and poplars, formerly regularly flooded by the Morava and Dyje Rivers. European Honey Buzzard, Middle Spotted Woodpecker, Collared Flycatcher and Short-toed Treecreeper are common here; Black Stork, Eurasian Hobby, Red and Black Kite should be gliding over the trees as well as Eastern Imperial Eagle. We conclude this excursion on a large meadow with tens of White Storks’ nests in old solitary oaks. Vineyards are a good place for Eurasian Hoopoe and Corn Bunting too. Before return to the hotel, a quick visit to the European Bee-eater colony and Common Kingfisher territory. Green Lizzard, European Souslik, Hamster, Steppe Polecat and both Martens live in the area. For ducks, herons and waders, (incl. Northern Shoveler) we will visit two fishponds around Lednice. Excellent for early morning birding. Eurasian Eagle Owls observation in the evening in a quarry near Mikulov. This area was behind Iron Curtain for 40 years and it represents a very special habitat of march forest and virgin forest mixed with meadows and solitaire trees. 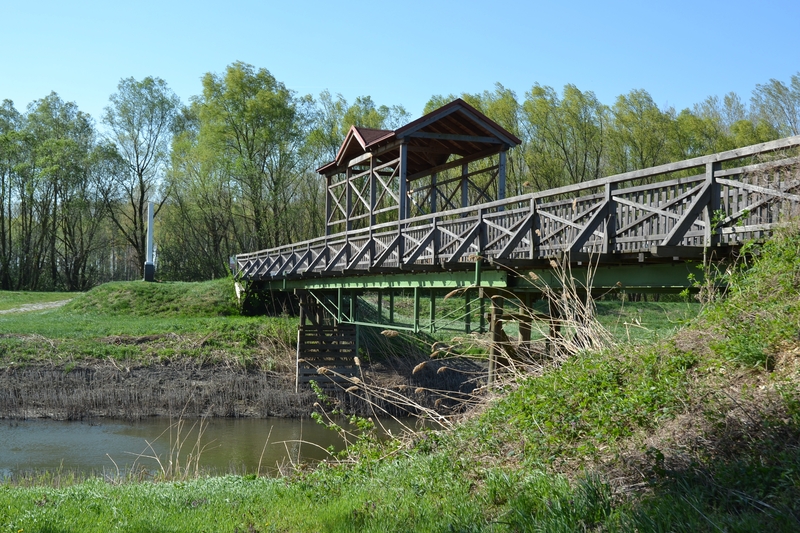 Thanks to non-disturbance, this is one of the best birding sites of the Czech Republic. Our main targets today are the raptors: Eastern Imperial Eagle, Saker Falcon, Red and Black Kites, White-tailed Eagle, etc. 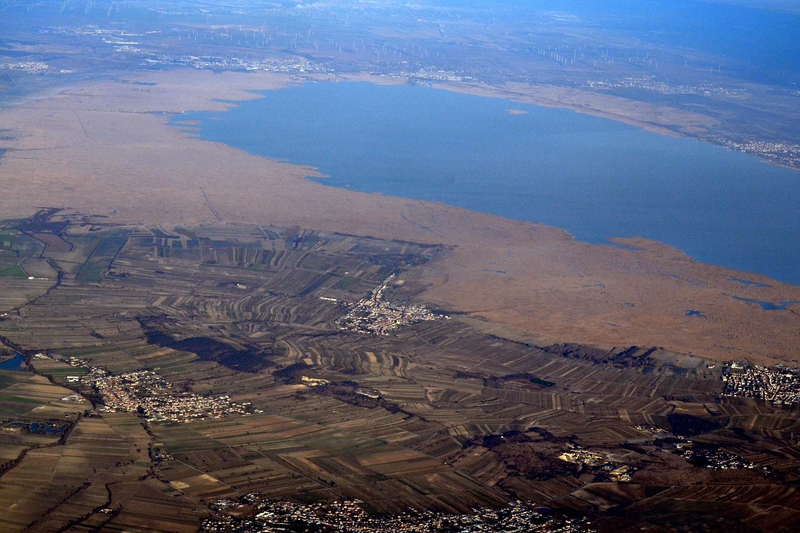 Exploration of the flat countryside surrounding Europe’s largest salt steppe lake, the Neusiedl See, a mosaic of dry plains and shallow lakes that provides ideal resting places for numerous spring migrants. Birds are simply everywhere. A leisure day full of walking trails and views of the storks, herons, spoonbills, raptors, waterfowl and shorebirds.There aremore than a thousand of Great Egrets and hundreds of Moustached Warblers breed around the lake, although the latter is sometimes not easy to find. 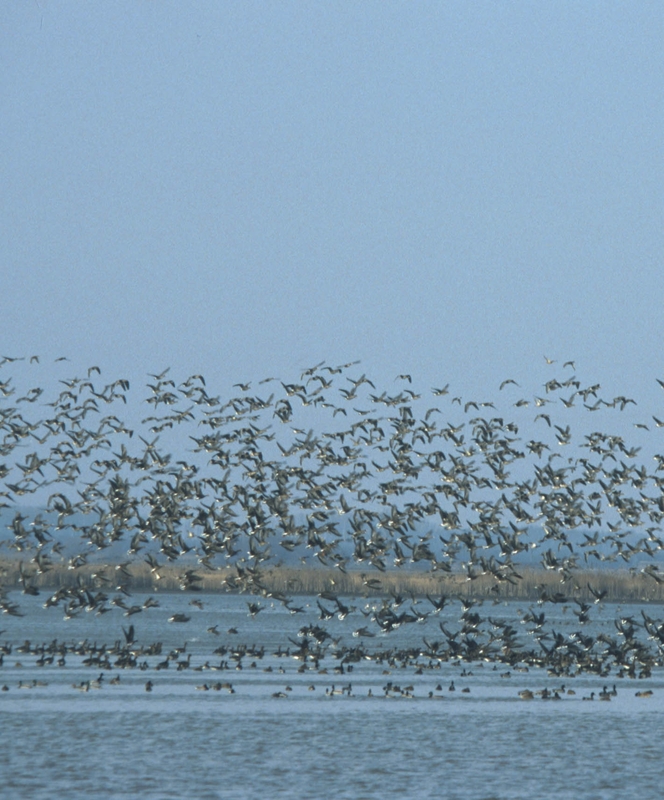 Many birds are best observed in Seewinkel, area of shallow smaller lakes with system of hides. Grebes, Greylag Geese, Ferruginous Ducks, Eurasian Spoonbill, Little Egret, Purple and Black-crowned Night Herons, Pied Avocet, Black-winged Stilt, Kentish Plovers, Little and Mediterranean Gulls, Black, Whiskered and White-winged Terns, or Bluethroats, and various waders can all be seen in one day if we are lucky and visit more than one place. Visit of small Waasen-Hansag reserve with quite close and good views displaying males of Great Bustard in the meadow. Sleepy Short-eared Owl often overlooks flat carpets of grass, Montagu‘s Harriers, Eurasian Curlews and Black-tailed Godwits all breed on artificially flooded meadows and in the fields. Roadside birds include here European Stonechat, continental race ofthe Yellowhammer, Red-backed Shrike. We also try for Barred Warbler, Crested Lark or Common Nightingale, all not uncommon where we roam. Canal fringes, woods and windbreaks are also very much alive with Eurasian Golden Orioles, Marsh Warblers, Eurasian Hobbies or Long-eared Owls. Raptors, most commonly Common Buzzard and Common Kestrel, can be usually spotted at longer distance. Western Osprey, White-tailed Eagle or Red-footed Falcon are regular visitors in this area. Transfer to Vienna, Brno or Bratislava for your departure flight.